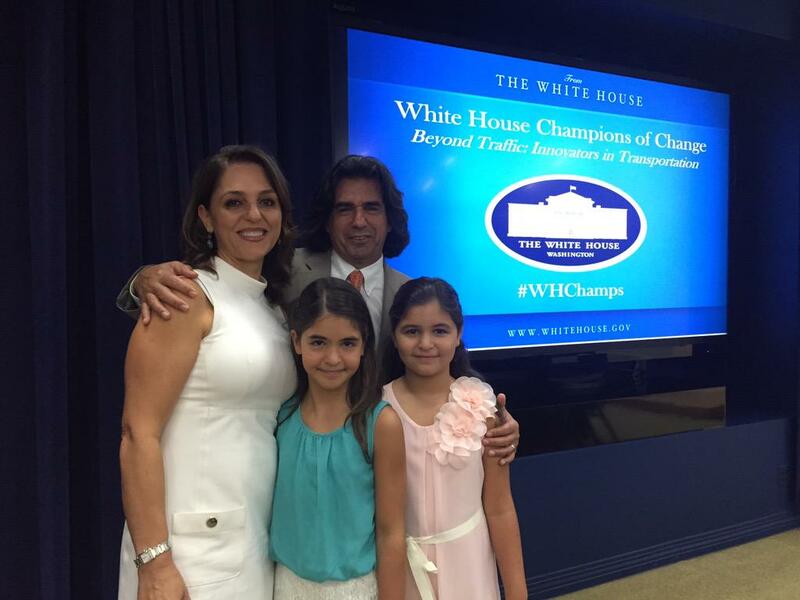 Prof. Atorod Azizinamini, P.E., Ph.D., chair of the Department of Civil and Environmental Engineering at Florida International University’s College of Engineering and Computing, was named a 2015 White House Transportation Champion of Change. Sponsored by the White House and the U.S. Department of Transportation (USDOT), the program highlights the stories and examples of citizens across the nation who are leading projects and initiatives that move their communities forward. Prof. Azizinamini, known worldwide as a leading visionary bridge engineer, was honored for his innovations in making the USA’s aging bridges safer. Prof. Azizinamini invented the Folded Plate Steel Bridge System, which provides an economical, long-term solution for replacing outdated short span bridges. Dr Azizinamini has devoted his career to developing solutions for aging bridges. Currently, about 24% of more than 610,000 bridges in the U.S. are deficient, and about 45% of all U.S. bridges are shorter than 60 ft. To address this issue, Prof. Azizinamini invented the Folded Plate Steel Bridge System, which provides an economical, long-term solution for replacing outdated short span bridges. 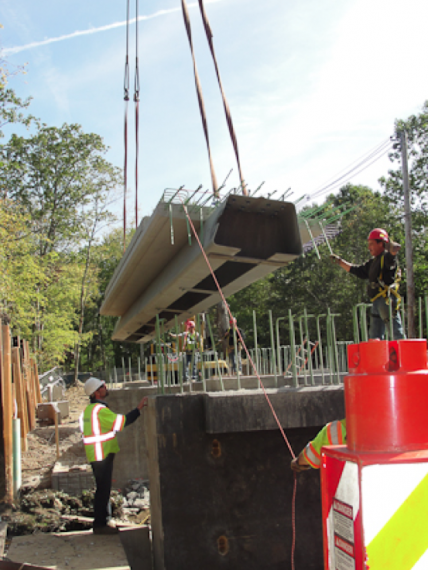 It allows on-site construction of a bridge over a few days, using less costly materials and lasting longer, resulting in lower costs and limited impact to traffic. In 2014, with support from the second Strategic Highway Research Program, Prof. Azizinamini developed the first comprehensive guide to enhancing the service life of bridges. The first application of the guide was at the new Tappan Zee Bridge in New York. Prof. Azizinamini is director of FIU’s Accelerated Bridge Construction University Transportation Center (ABC-UTC), focused on developing technology and methods to improve bridge design and construction. The ABC-UTC was established by the U.S. Department of Transportation in 2013, and works closely with the Federal Highway Administration and the American Association of State Highway and Transportation Officials to advance accelerated bridge design and construction, through research, workforce development and technology transfer. 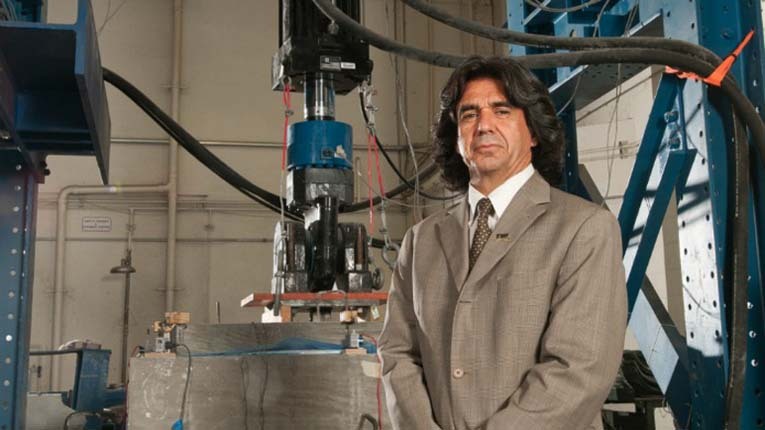 Prof. Azizinamini came to FIU in 2011 from the University of Nebraska-Lincoln, where he was a Distinguished College of Engineering Professor and the Director of National Bridge Research Organization. He has been instrumental in facilitating the use of advanced materials and technologies in bridges by educating professional engineers and conducting major research studies. He has also been an entrepreneur and a leader in developing innovative bridge systems and implementing novel concepts in practice. He has received a number of awards, including the Civil Engineering Research Foundation (CERF) Charles Pankow Award for his innovative bridge system, the American Institute of Steel Construction (AISC) Special Achievement Award for his significant contributions to steel bridge engineering and its impact on the steel industry in 2011, the AISC’s 2005 Prize Bridge Competition Merit Award for his outstanding design in structural steel-Medium Span Bridge Category, the American Iron and Steel Institute (AISI) Innovation in Steel Bridge Award for his valuable contributions to High Performance Steel, the Federal Highway Administration (FHWA) “Partnership in Excellence Award” for his contributions to the Accelerated Bridge Construction, and the FHWA’s “Major Achievement Award” for promoting the use of High Performance Steel in the U.S.